Most days I would pay someone $50 just to let me cuddle with my comforter for 20 more minutes. So what about the Monday mornings that I need to peep my eyes open at 5:30 AM (EW)? It’s hard to get out of my cozy bed, avoid hitting snooze 100 times and get moving. I find a healthy breakfast and just a few yoga stretches changes everything. I know, you’ve heard it all before. This is craziness, madness, sheer insanity. You just want your 4 cups of coffee and a bagel with cream cheese. I guarantee that for the first week of waking up 15 minutes early, you will have to force yourself. You’ll be all “damn you Jane, just 5 more minutes…”. After you break through the first few days of annoyance, you won’t regret it. You’ll be in a better mood throughout the day, you’ll be calm and focused and most importantly, less tired. Do yourself a favor and try this. Wake up 15 minutes early. Do a few of your favorite stretches. Say a word or two of gratitude. Reminding yourself about what you are lucky to have is the best way to relax your mind and prevent later irritations over miniscule things during the day.. Am I ranting? I’m wrapping up I promise. 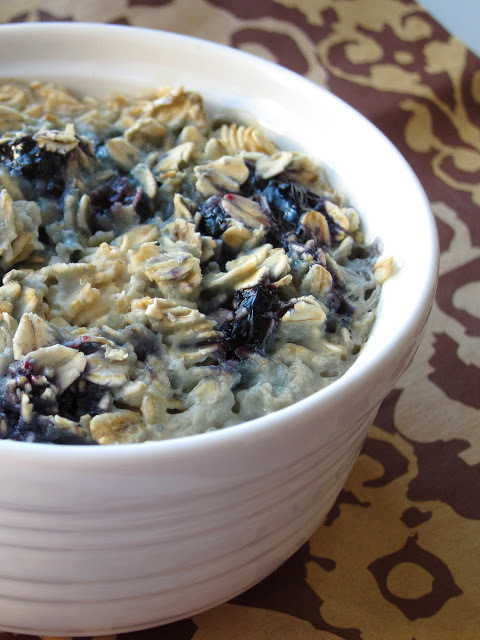 Eat breakfast, and don’t bore yourself by eating the same instant oatmeal everyday. Spice things up, prepare a little bite the night before if that’s what it takes. Below are a few of my morning go-to’s that I rotate during the week. They are all healthy and delicious. Combine 1/4 cup of organic rolled oats with 1/4 cup of vanilla flavored greek yogurt, a drop of almond or vanilla extract, 1/3 cup of skim milk. Shake it up in a plastic container with a tight lid or a little glass jar. Add a handful of blueberries and leave it in the fridge overnight. In the morning, add a tsp of almond butter and a few more berries on top. For this one, I use quinoa that I have leftover from making salads during the week. I always set a little aside and leave it in the fridge. Microwave 1/3 cup of cooked quinoa for 45-60 seconds with a splash of milk. 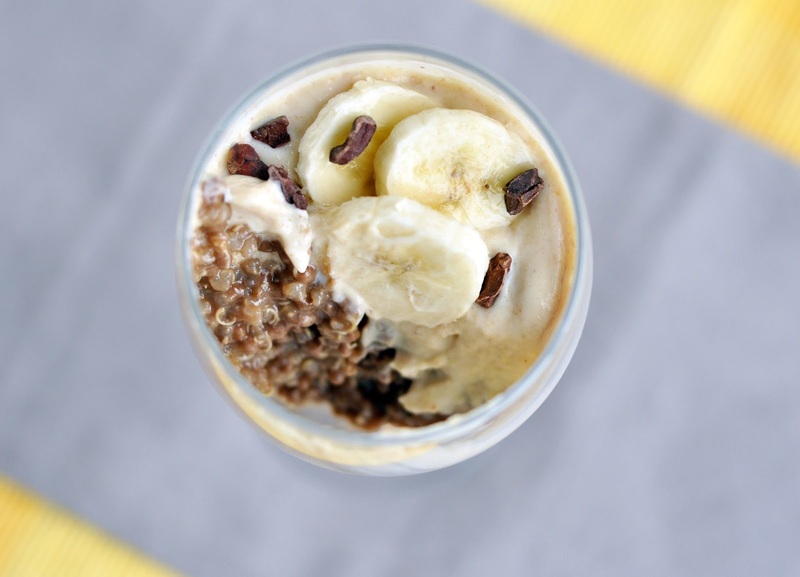 Top it with a drizzle of honey, a tablespoon of creamy peanut butter and one small mashed banana. Gently mix and enjoy. *This can also be made with oatmeal. Warm up a whole wheat wrap on a skillet. Scramble one egg gently. Top it with a slice of your favorite (melty) cheese. Spread your favorite mustard (I like spicy whole grain) on the wrap and drizzle a little honey on. 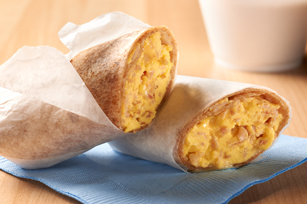 Add the egg and cheese, wrap up, slice in half. Mash 1/2 of a banana in a small bowl. 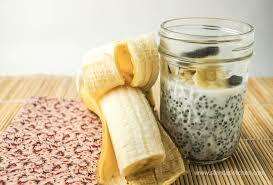 Stir in 1 tsp of vanilla extract, a pinch of cinnamon, 1/2 cup of almond/coconut/soy milk and 2 tbs of chia seeds. Mix and let it sit for at least 1 hour, or preferably, overnight. Top with dried fruit, berries or toasted nuts. Serve cold. Toast a large slice of whole wheat bread. Mash 1/2 of an avocado with 1 tbs of fresh lime juice. Season liberally with salt and pepper. 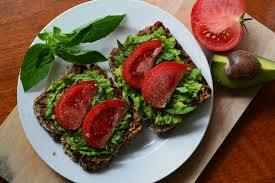 Spread the avocado on the toast and add 2 slices of fresh tomato. You can also add a sunny side up egg over the entire thing if you’re extra hungry!